Where? Florida International School in Siem Riep, Cambodia. When? January 2016. What? An update to our latest story, FSP Faces Challenges with Integrity and Pride. As much as we wanted to give Ly Sunder another chance, we realized that difficult decisions had to be made to maximize impact with limited resources. We sadly told the school that we would follow their direction and discontinue support for Ly Sunder’s school funds starting in 2016. We also explained that we would like Lek Reaksa to begin attending immediately. 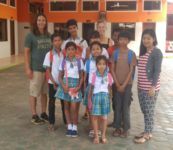 The same week Lek Reaksa began studying under the FSP scholarship, an FSP supporter went to Siem Reap from the Netherlands to visit the students we sponsor there. Indi was fully briefed on the situation with Ly Sunder and given direction to speak with him if possible. She was directed to share our love and concern for his future and try to make some sense of why he continues to work and play soccer instead of going to school. She was also briefed that Ly Sunder’s sponsor, Scott P. from Arlington, Virginia had agreed to transfer his support to Lek Reaksa. 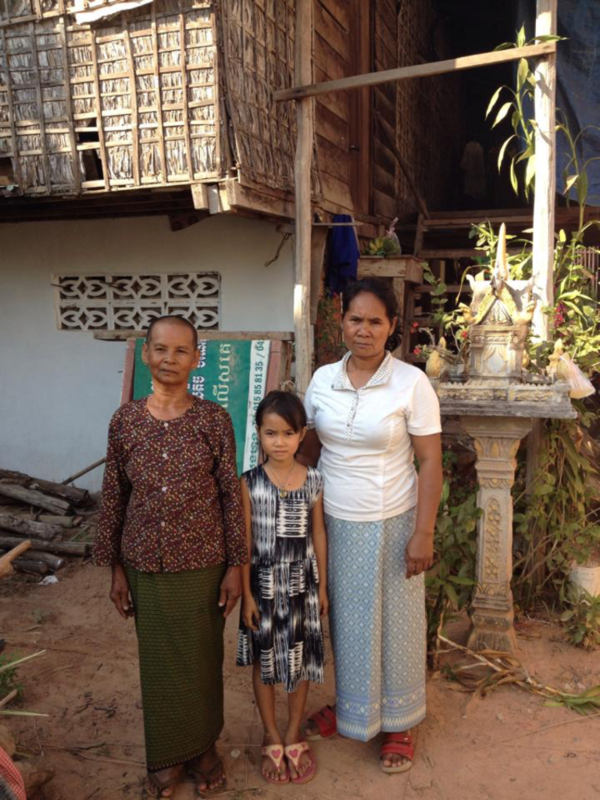 Indi met Lek and her family, and explained to them how FSP came to sponsor her. 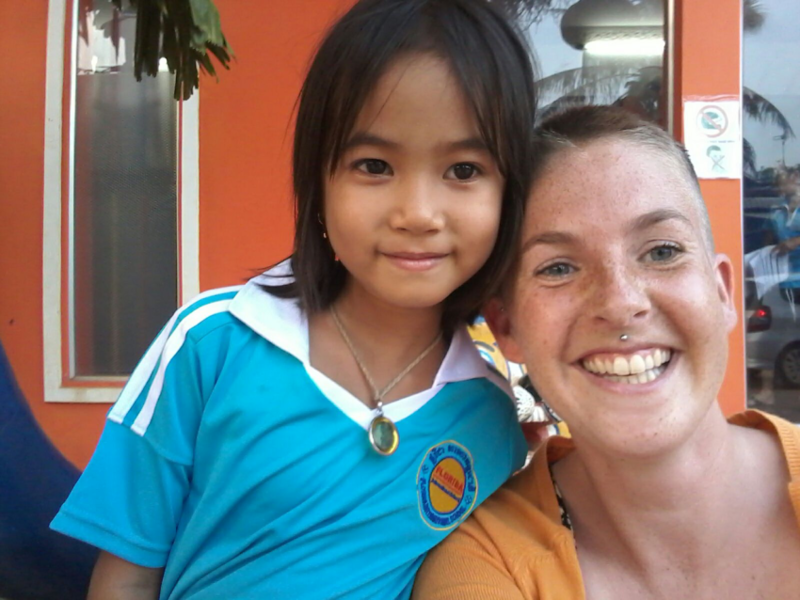 Indi spent some time with Lek, getting an idea of who she is and what her hopes and dreams may be for her life. Indi spent all week with the kids, getting to know them and seeing how we can be more supportive and helpful in their studies. 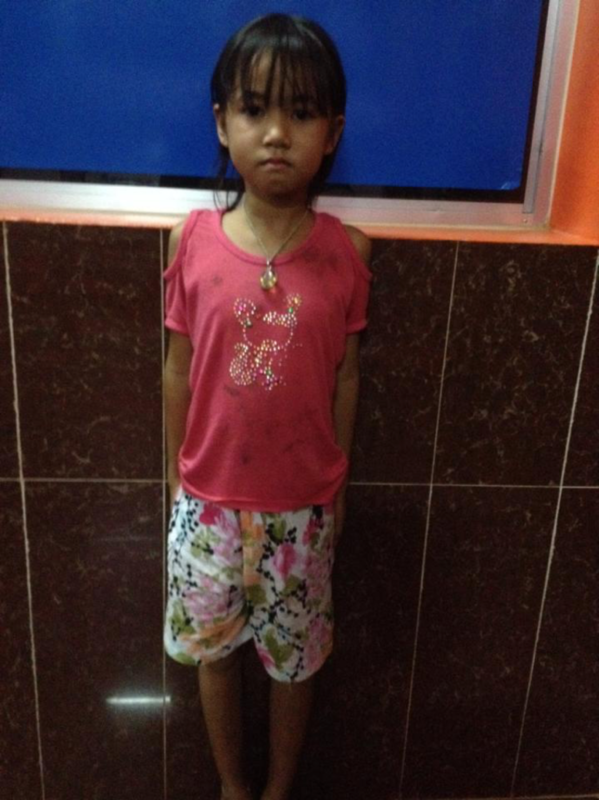 The kids always seem to need very little, just some love and hope; and FSP definitely brings that with all our hearts. What a blessing and a journey this Giving Orphans Education project has been. © Feed Starving People Inc. | Made with Wordpress | Managed by rivulet-IT.